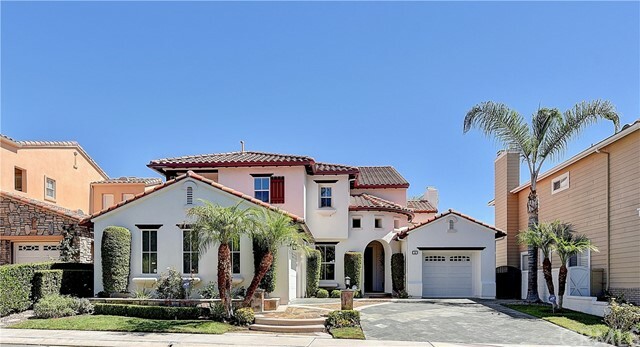 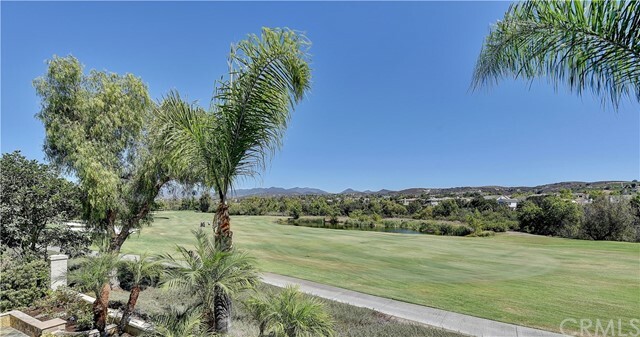 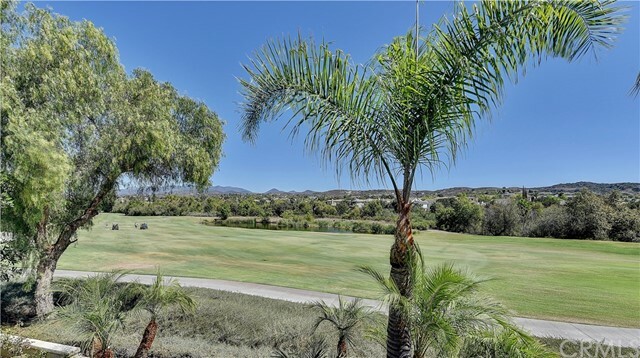 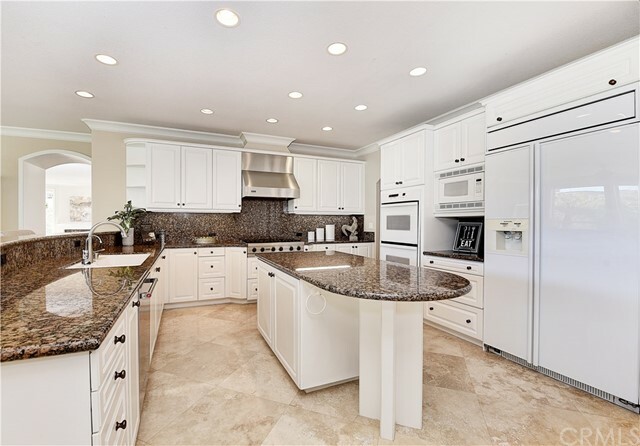 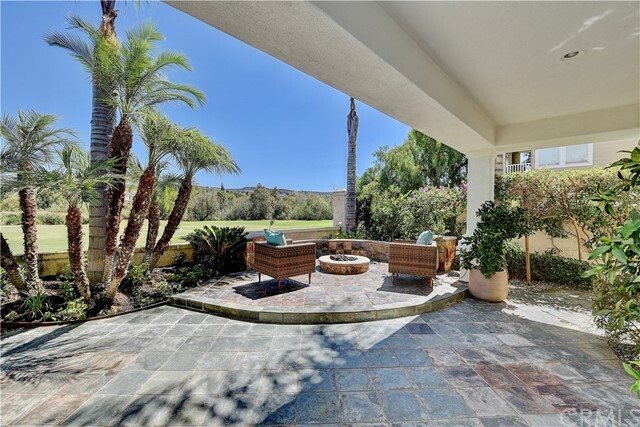 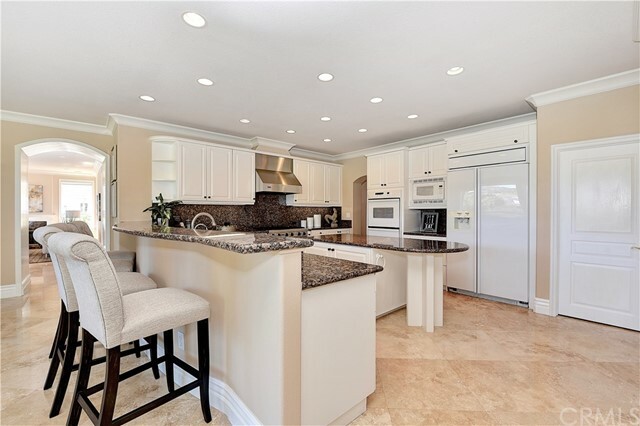 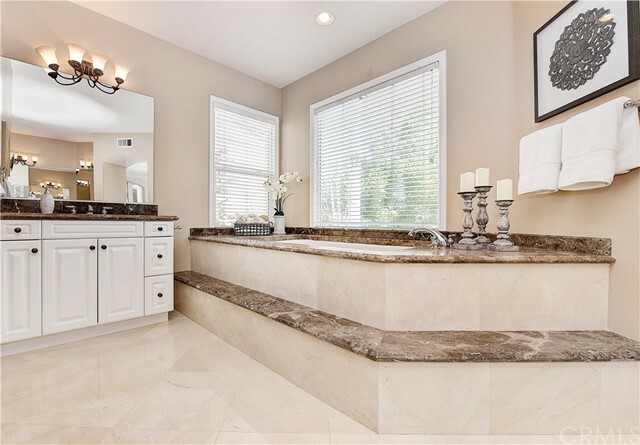 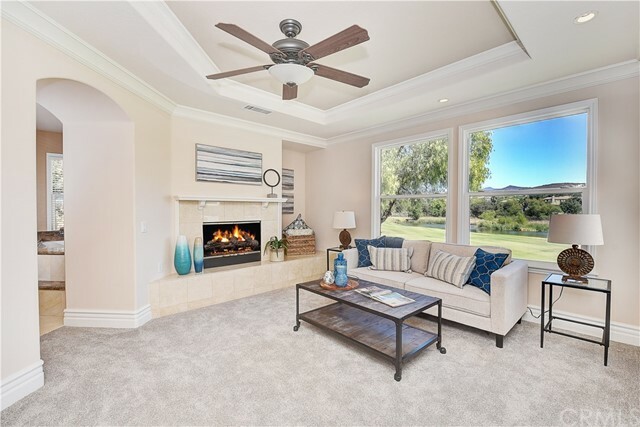 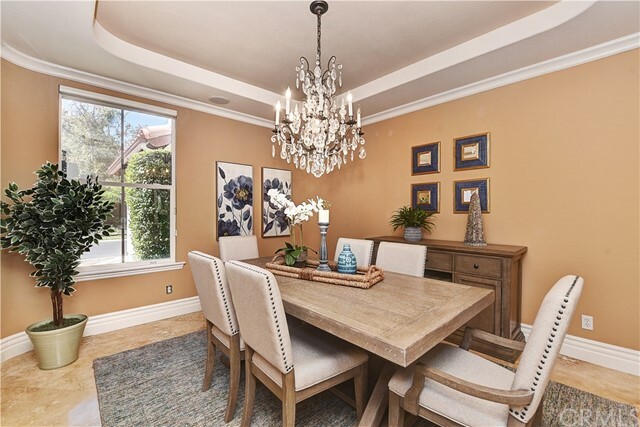 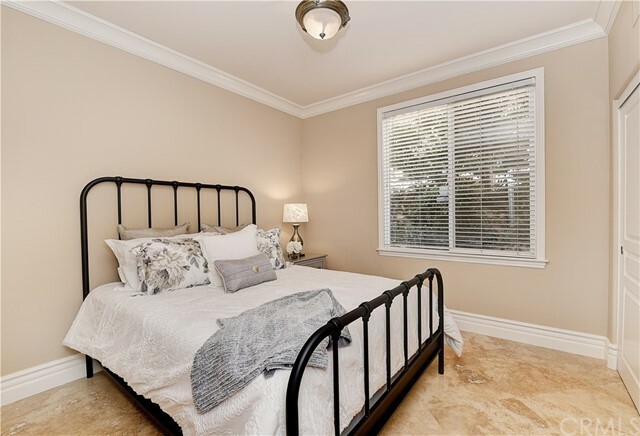 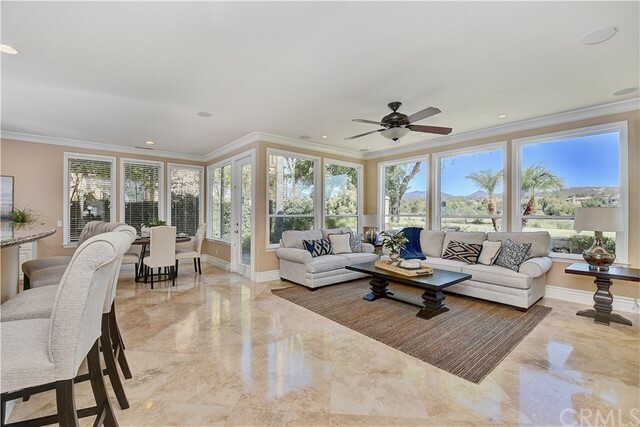 Stunning Coto De Caza home with 180-degree breathtaking view of the golf course, lake, and mountains, offering 4 BD, 5 BA plus office with approx. 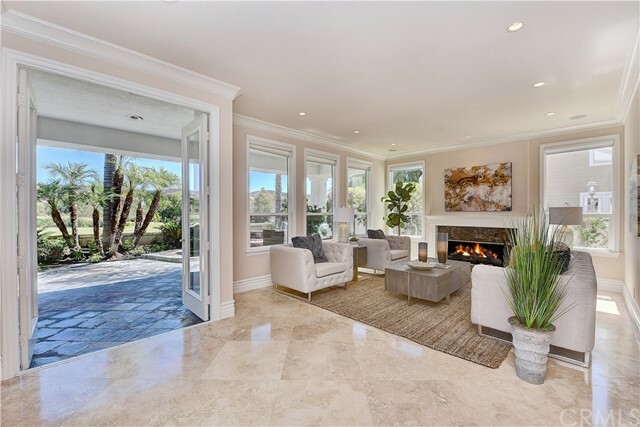 4,150 SF of opulent living space. 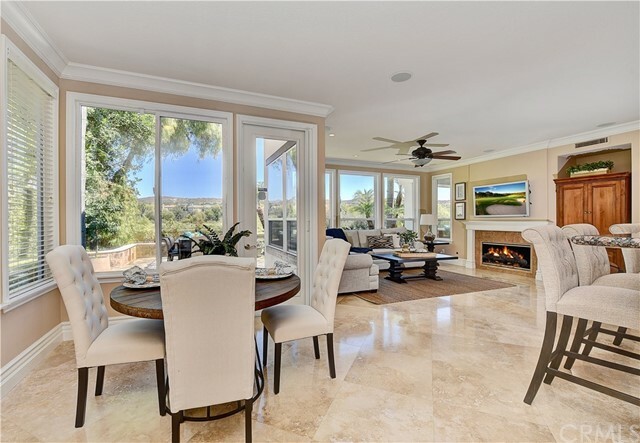 A grand foyer greets you as you enter this stunning home adorned with timeless travertine floors throughout the first floor. 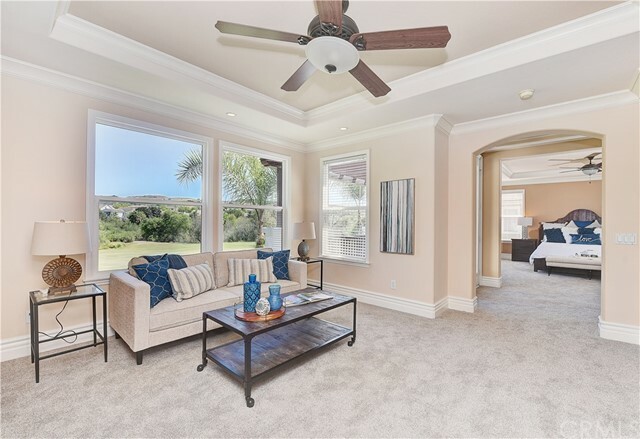 On the main floor the spectacular views are available from the living room, family room, and the entertainer's kitchen featuring a built-in refrigerator, double ovens, granite counter-tops, and large center island with an eat-in area. 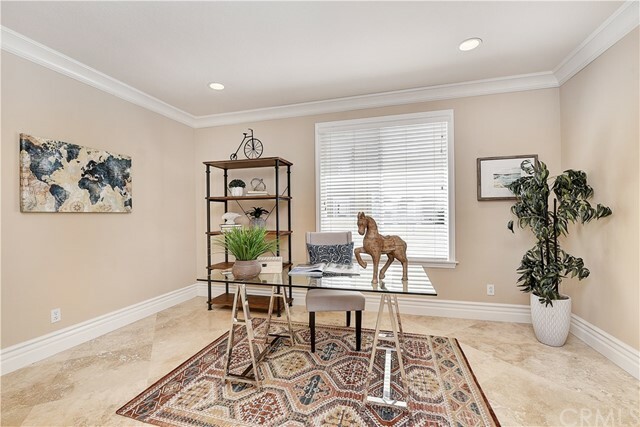 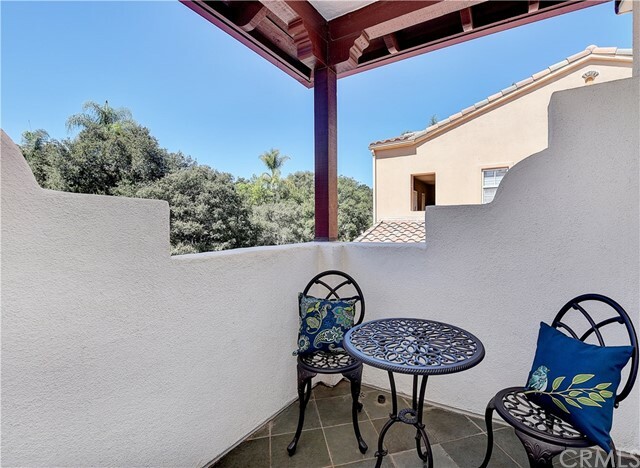 The spacious downstairs office has beautiful leaded glass French doors and built-in shelving. 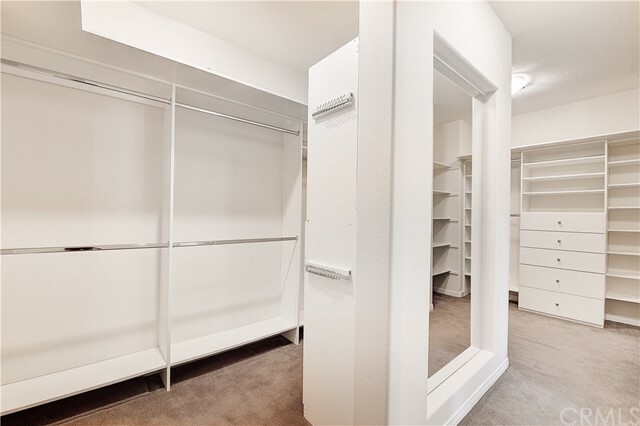 The first floor includes a private bedroom, which has an en suite bathroom and closet. 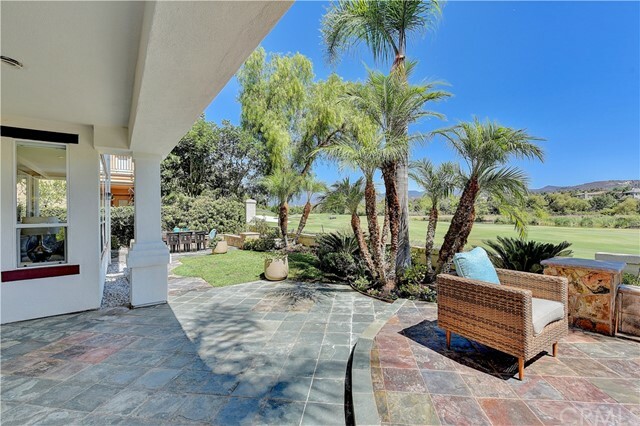 This is a nature lover’s dream home. 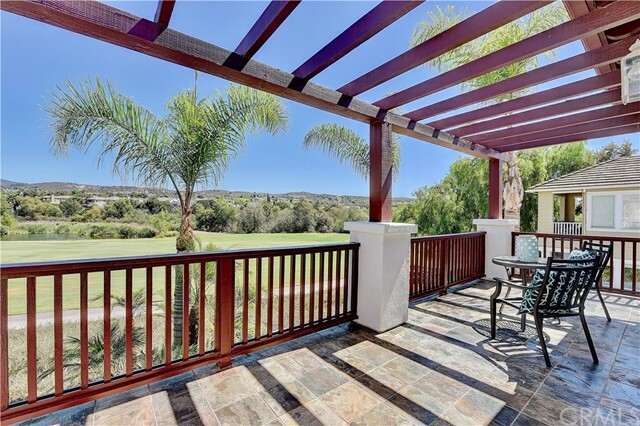 From the comfort of your backyard you could see Canadian geese, egrets, deer and hear the sounds of nature day and night. 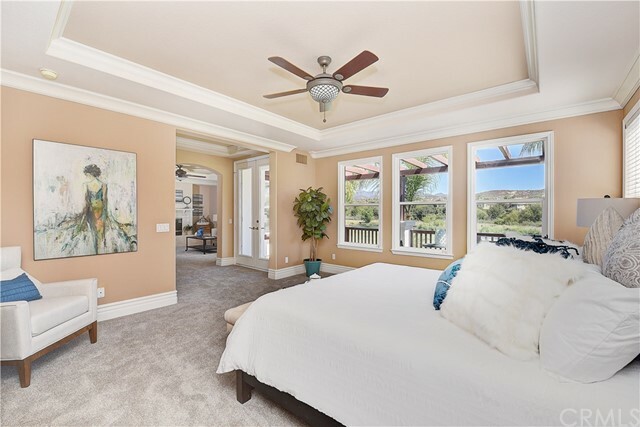 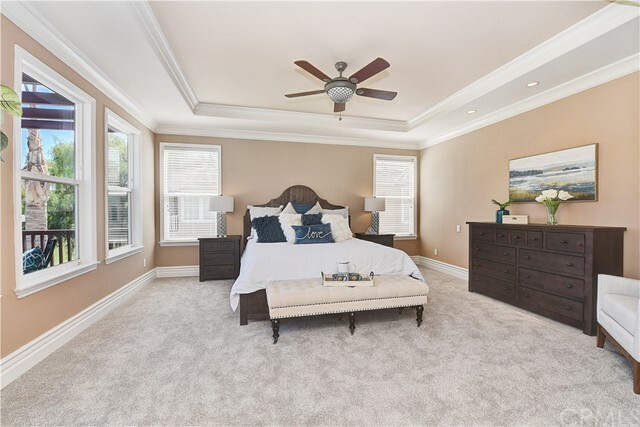 The dramatic staircase leads to a spacious master retreat, which has a large, private balcony showcasing the stunning views, enjoyable from the over-sized sitting room with fireplace, or the soaking tub in the spa-like bath. 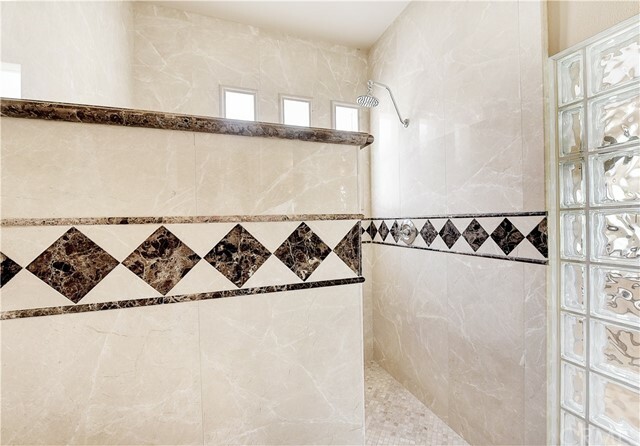 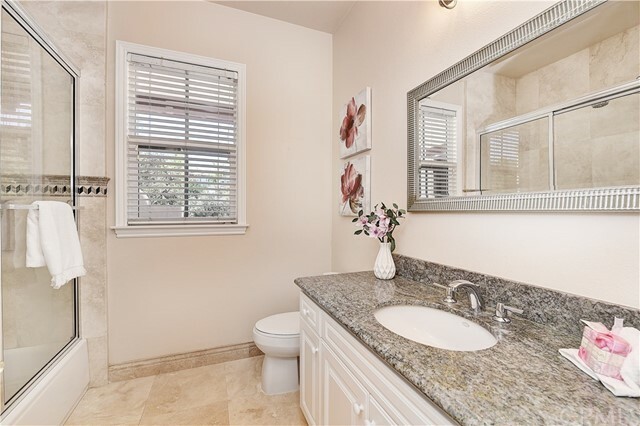 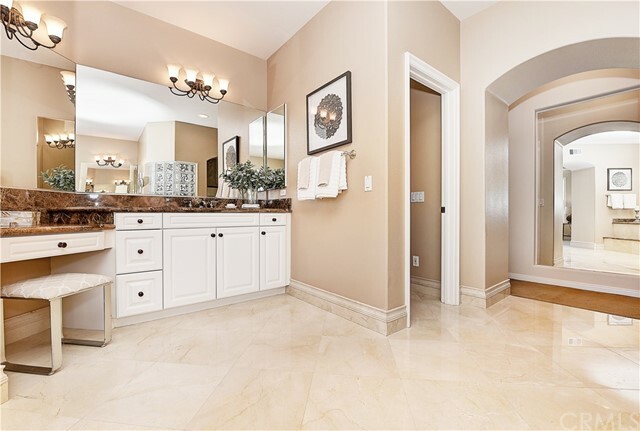 The master bath has an open air shower and wrap around walk-in closet. 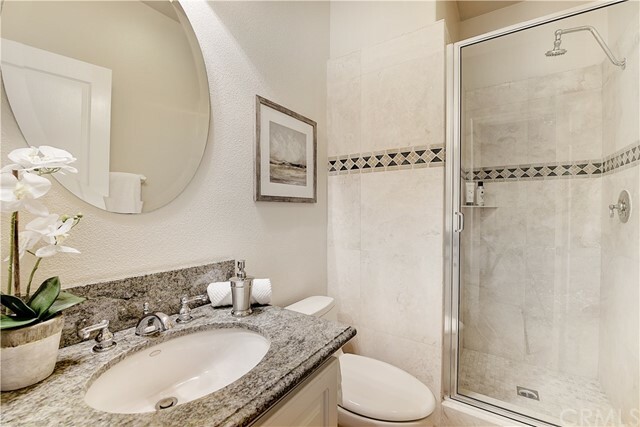 All secondary bedrooms in the home have en suite bathrooms. 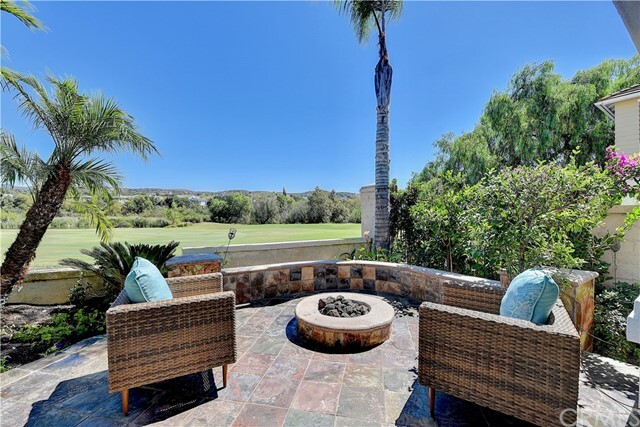 Enjoy the slate hardscaped yard with built in fire pit and outdoor dining area overlooking the natural landscape. 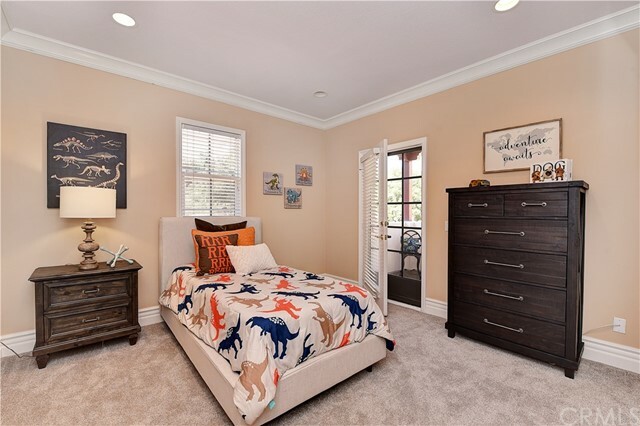 This home is conveniently located just within the gate and a short distance to some of the most sought after schools in the district.